A car accident may be caused by poorly designed streets, debris on the road or negligent drivers. When an accident occurs, individuals can suffer catastrophic injuries and devastating property damage. It is our goal to stand by your side through all phases of litigation, fighting to ensure that you receive full and fair compensation for your unique situation. 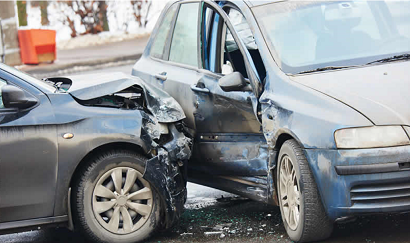 The Mississippi car accident lawyers at The Wetzel Law Firm represent clients suffering from a wide range of injuries. Contact us today at 228-864-6400 for a free initial consultation. Whether your accident was caused by a distracted driver, speeding, a product defect or simple negligence, it is wise to seek the counsel of a skilled attorney. We will answer all of your questions in a prompt and honest manner. By accurately determining liability, we can negotiate with the at-fault party’s insurance carrier to reach a beneficial settlement for damages. Clients trust us to aggressively fight on their behalf to recover compensation for lost wages, medical bills, property damage, and pain and suffering.